A balance of wholesome and raw truth! A great book with a balance of wholesomeness and raw truth! Buy and share! DeVon, gets into the topic of "the dog" like the 🎶 ...futuristic bow wow...🎶 type of dog that George Clinton sang about in the Funkadelic hit "Atomic Dog". Our task as men is to Master the dog. The dog can be channeled in fitness and sport to perform at our premium and put on a headlining show. However, as men in our relationship to pursuing or protecting our relationship with a lady we must learn to be accountable and have accountable people in being the best man that we can be. 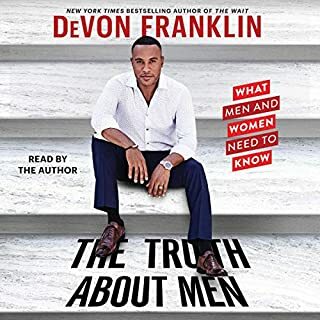 The Truth About Men is a good guide to choices DeVon has and is making, as well as the knowledge and wisdom that is being handed down to him by great men with quality marriage and family lives. 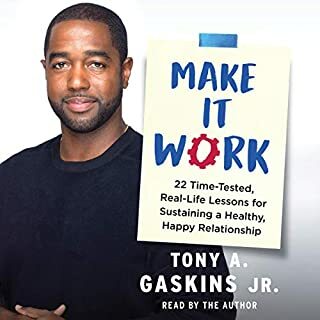 DeVon goes in depth with examples from Hollywood actors, notable media icons, former Intercollegiate athletes, and retired Military men who share their truth and testimony of the value of doing relationships the right way. This is the type of resource from a man which includes valuable input from both men and women as to what men can do to train themselves up to being quality relationship and marriage material. Great book TG! As a single gaining my lessons! Great book TG! As a single man gaining my lessons, I appreciate your work! Many of the things taught here are just able to be prefaced by some church and college campus ministries, with the time which they can give to the topic. I could honestly forsee, if they have not already, churches and college campus ministries inviting you in to be the teacher from time to time. Most of the nuggets in your resource, I didn't learn at home or in the family. As a late bloomer in potentially having courtship and marriage, I listen to your book on repeat amongst other leaders to know what to do and to look for in relationships to get the best life outcome. I love this publication. 55 valuable minutes to listen & learn from. Some of the information is very new to me as it is not taught in school or by daily financial transactions between consumer and financial institution(s). 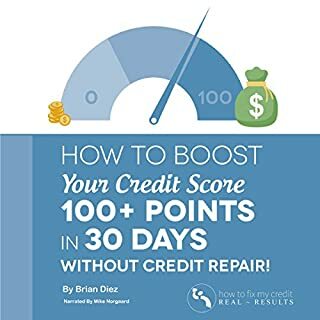 Also, part of the information is reaffirming in that some positive actions which I have taken and am consistently taking are referred here in order to have significant gains in credit score.